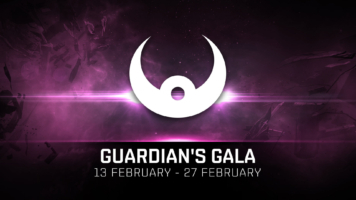 Starting today, players of EVE Online, the in-depth and uniquely player-driven spaceship MMO game from CCP Games, can join in the Guardian’s Gala to fight against the fearsome pirates of New Eden and earn exclusive rewards in the process. 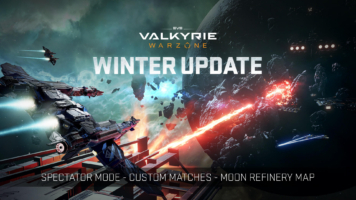 Today, CCP Games is excited to launch the Winter Update for EVE: Valkyrie– Warzone –the acclaimed multiplayer first-person spaceship shooter set in the gritty-but-glorious universe of EVE– across PlayStation®4 and PC, including all high-end VR headsets (PlayStation®VR, Oculus Rift and HTC Vive®). CCP Games has announced that Gunjack 2: End of Shift – the sequel to one of the best-selling mobile VR games of all time, the critically-acclaimed Gunjack – is launching today for Gear VR on the Oculus Store, available to download for $8.99 SRP. Gunjack 2: End of Shift, which was originally released exclusively for Daydream, is also receiving a permanent price drop on Google Play, from $12.99 SRP to $8.99 SRP. Today, CCP announced the launch of the Arms Race update for EVE Online, their in-depth and uniquely player-driven spaceship MMO game, which introduces even greater accessibility and wider gameplay variety to players with free-to-play accounts, known as Alpha Clones. 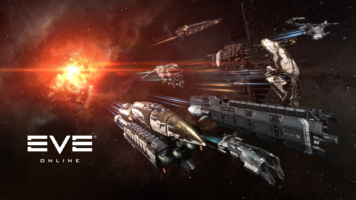 Introduced in last year’s Ascension expansion, Alpha accounts enable players to permanently join hundreds of thousands of established users in EVE Online’s massive space sandbox for free. Now, CCP Games has opened up the ability for Alpha pilots to train many more skills, fly more impressive spaceships and equip more advanced weaponry. Today, CCP Games launches Sparc™ for Oculus Rift and HTC Vive® virtual reality headsets, bringing the energetic virtual sport to PC with full cross-platform multiplayer gameplay, connecting with players who have already been enjoying the game on PlayStation®VR. 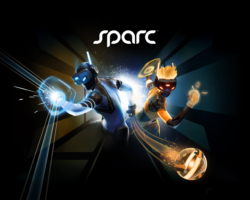 CCP Games today announced that Sparc™, the energetic competitive virtual sport currently available on PlayStation® VR, is coming to Oculus Rift and HTC Vive® headsets for PC on November 16th. Sparc’s unique full-body gameplay is only possible in virtual reality, where players’ VR equipment becomes their sports gear.